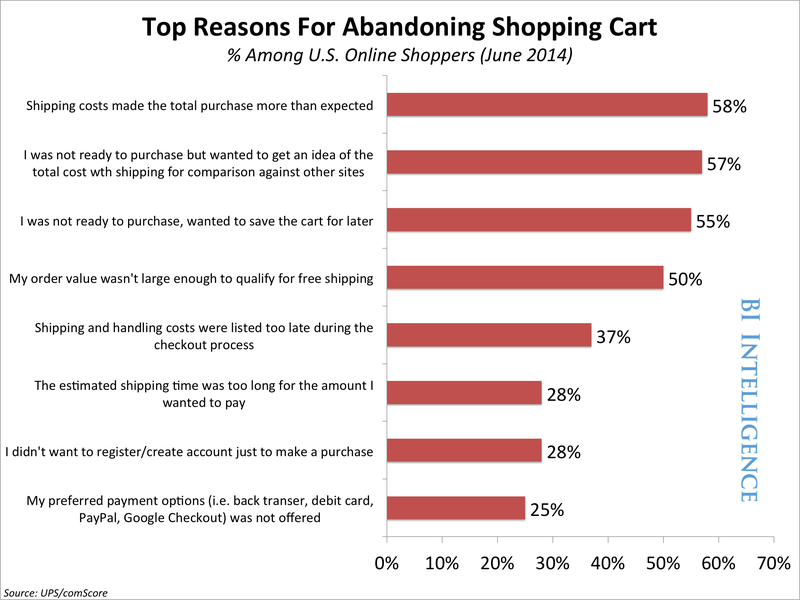 Why are the big percent of visitors leave their carts behind and quit without paying? What can you do to to overtake this? Before we move on to answer these questions above, we need to understands a few things about the phenomenon of cart abandonment. Fisrt of all, we really should check out the data that was collected from real customers. It’s essential to be able to put yourself in the buyer’s mind. Think of the joy and happiness when you find the best and cheapest armchair in the world, the one you always longed for. You’re already checking out, but then comes the insanely high shipping cost, and that ruins it all. Customers, in fact just love the idea of free shipping, and it significantly increases the possibility of selling your goods. Good advice: If you don’t like the idea of free shipping, give your customers more shipping options. I would suggest a really cheap and therefore slow one, and a premium for those who are actually willing to pay more. They do that all the time: compare the prices, the pros and cons, and they only want the best offer. And we cannot be really pissed because of that, it always worked like that. Good advice: Use exit-triggered popups wisely – maybe a nice offer keeps then on your site. Saving money, saving time. Customers often collect their cart simply because they don’t want to start it over when they come back with the actualy intend of purchase. Good advice: Make sure they don’t forget their carts, and they come back. Well, that problem is not actually on your side – but you can encourage them to order more from you. Good advice: Place a counter that shows how much money should the customer spend to be eligible for free shipping – this should do the trick! Nobody wants to be faced with extra costs after choosing every desired option, and clicking through the whole checkout process. If you don’t communicate the total cost early, your customers will get frustrated and just leave. Good advice: Include the total cost even on the main page, under the product price. Sometimes customers just want to own their purchased stuff – and fast. If they think that the process would consume more time than they think it’s fair, they will just close your site. Good advice: Again, provide them alternatives, to let everyone find their preferred options. I know it’s a lot of time and effort to implement more ways to pay. But in this case, the more is the better. Good advice: Listen to your customers. If a lot of them wants to pay in a way which is not yet possible on your site, it worth it to at least consider adding it. These above are the most common reasons that cause cart abandonment, but there are many more which we cannot really think of, or prevent it. Right now, we have to focus on the issues where we can make a difference. Let’s collect them in a short checklist! 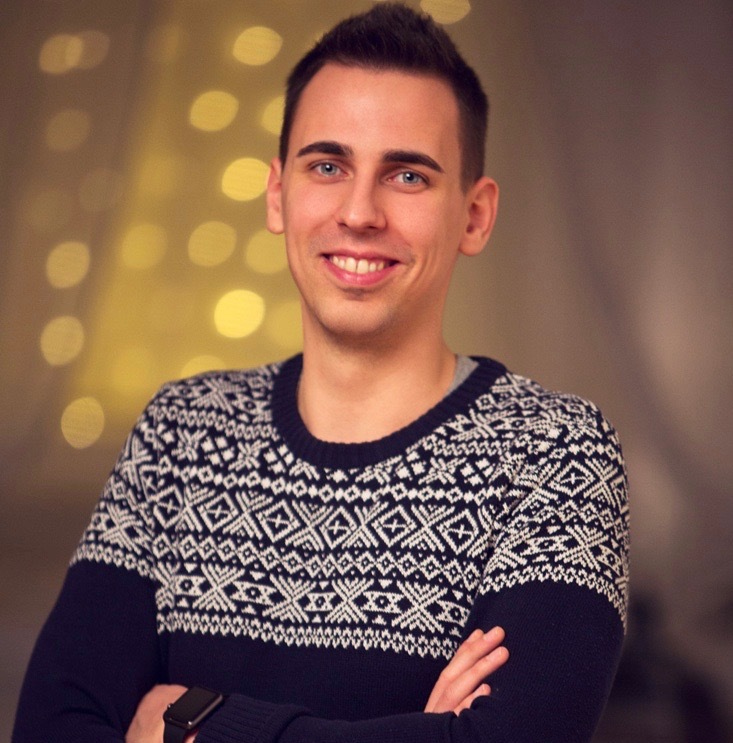 • Use cart abandonment solutions, like GhostMonitor. If you follow these steps, and you take cart abandonment as seriously as you should, the problem will be just a bad memory, which sometimes comes into your mind when you’re counting your extra money.